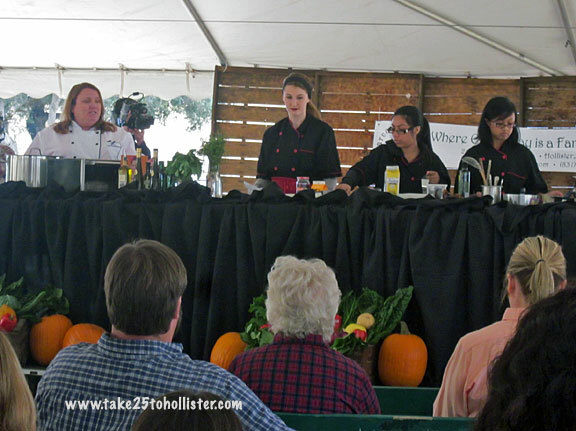 The San Benito Olive Festival was this past Saturday. 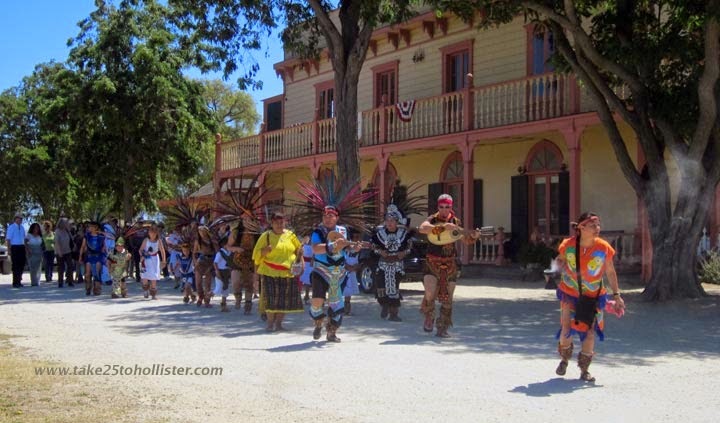 It was a gorgeous day, and the setting—the San Benito County Historical Park—was a perfect fit for the celebration of agricultural harvest and culinary delights. So much fun!!! Here's what I ended up doing on my checklist! Check! Make an olive wreath. Try a fresh fruit juice concoction by Gaspachos. Check! 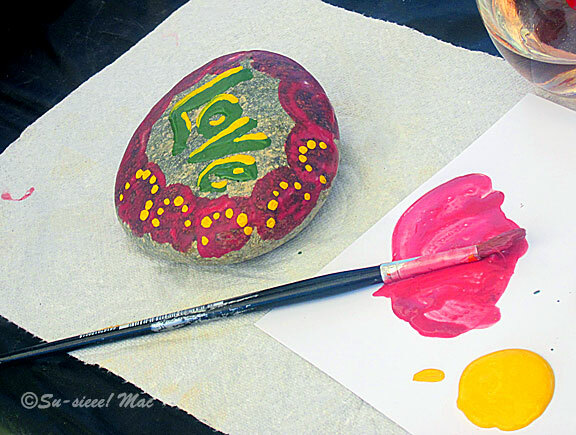 Paint rocks with ARTI-culture. Check! 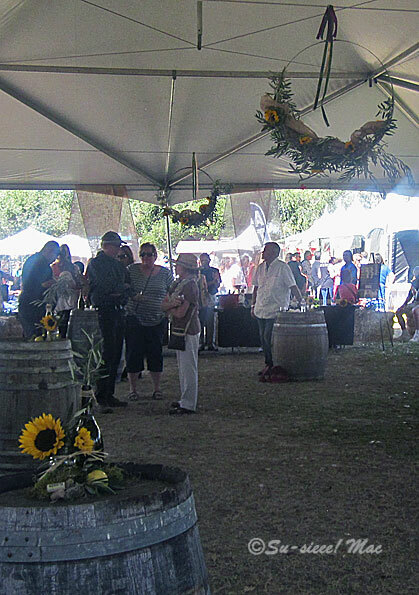 Sample wine from Bonny Doon Vineyard, DeRose Winery, Morgan Winery, or other wineries. I sampled wines from Guglielmo Winery, Kori Wines, and Divum Wines. 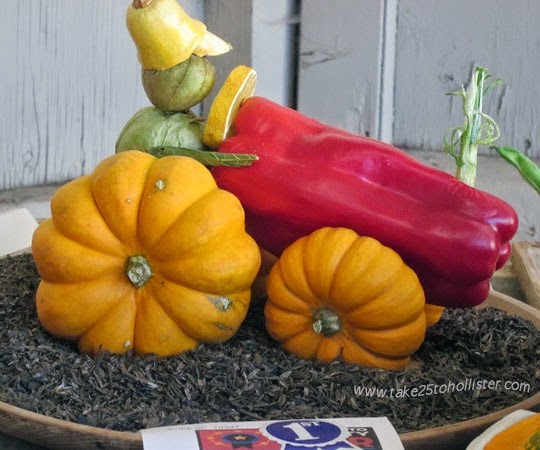 Build a scarecrow that I can take home! 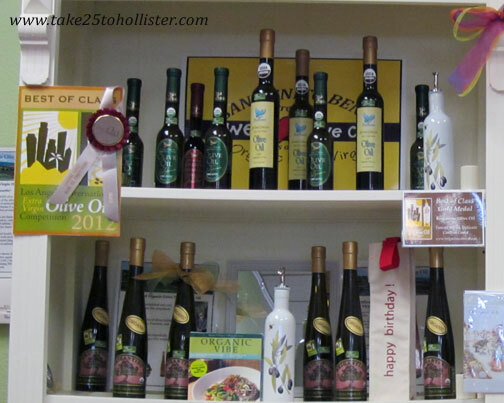 Taste olive oil produced by such award-winning producers as Oils of Paicines and MoonShadow Grove. Check! Paint and Plant with The Garden Mart. Watch Chef Carlos Pineda, the 2017 Gilroy Garlic Festival Showdown champion on the Cooking Demo Stage. Check! Learn how to create a Fall flower bouquet. Check! but it was to Mr. O's Jazz Band. Tap my feet to the sound of the Mariachi Juvenil Alma de Mexico. Check! Sip a microbrew from Grillin & Chillin Alehouse. Check out the Venetian masks at the Gioia Italian Art & Products booth. Check! No dancing though. Dance with the Husband to Absurdum. Eat some tapas made by Farmhouse Cafe. The Husband, our Friends, and I criss-crossed the park several times and still didn't experience all of the festival, particularly the cooking demonstrations, the merchants' booths, the nonprofit groups' displays, and all of the historical village's buildings and exhibits. Did you know there's an indoor model train display at the village? The Husband and I will visit the park throughout the year to see what we missed during the festival. For everything else, we shall wait patiently for next year! 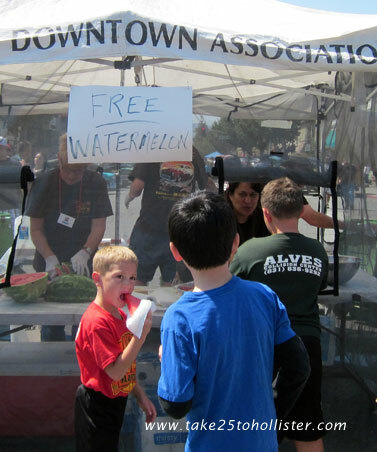 I don't think it's well known that the San Benito Olive Festival is a non-profit organization. 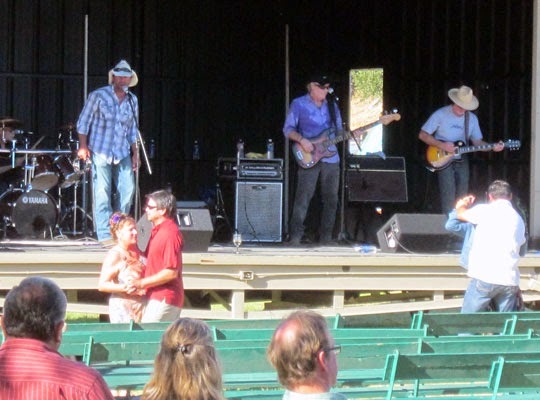 The organization, and festival, exists on the generosity of many, many volunteers and donors. 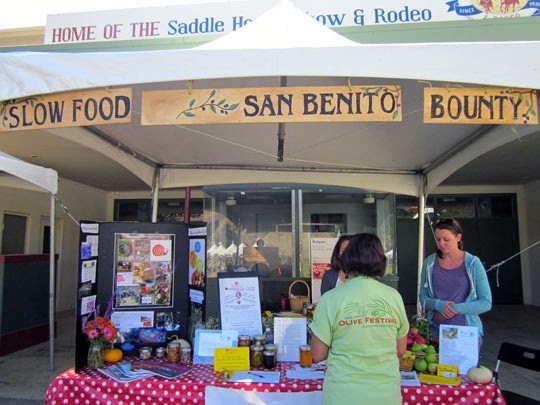 All of the net proceeds the San Benito Olive Festival earns go back into the community. Thus far, it has donated to more than 20 local nonprofit organizations. 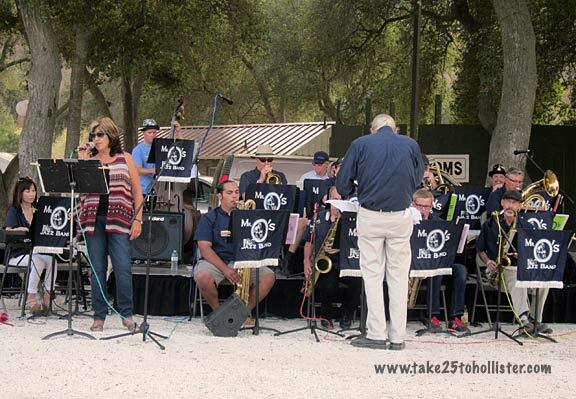 For more photos of the festival, check out the album at Take 25's Facebook page. 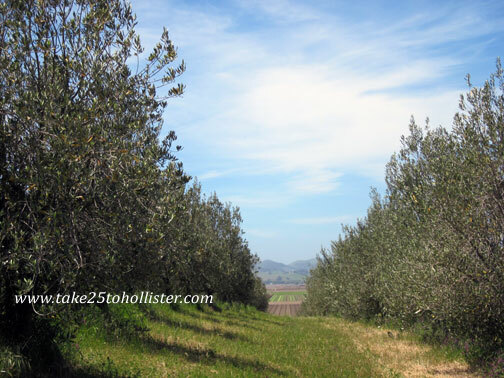 A Fun-Filled San Benito Olive Festival Ahead! Take the walk and geology talk with Jim Ostdick, who walked across the United States earlier this year to raise funds and awareness for the R.E.A.C.H. Foundation. 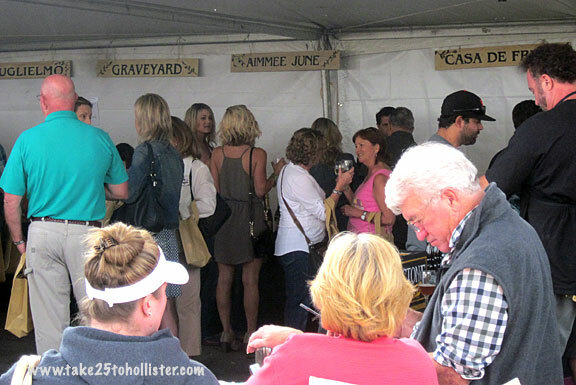 Sample wine from Bonny Doon Vineyard, DeRose Winery, Morgan Winery, or other wineries. Paint and Plant with The Garden Mart. Learn how to create a Fall flower bouquet. Tap my feet to the sound of the Mariachi Juvenil Alma de Mexico. Sip a microbrew from Grillin & Chillin Alehouse. Dance with the Husband to Absurdum. And more! If this old body with no cartilage in the knees can handle it. 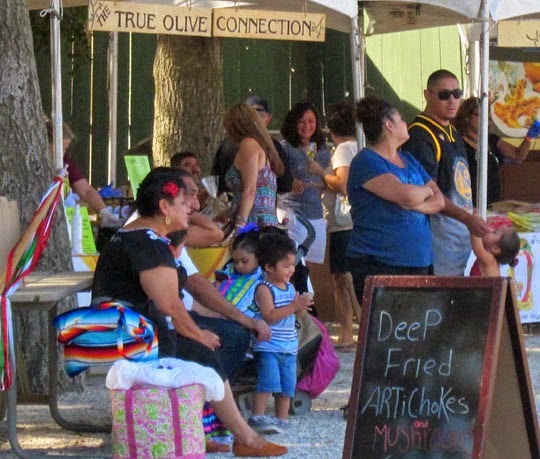 Definitely lots to do at this year's San Benito Olive Festival. 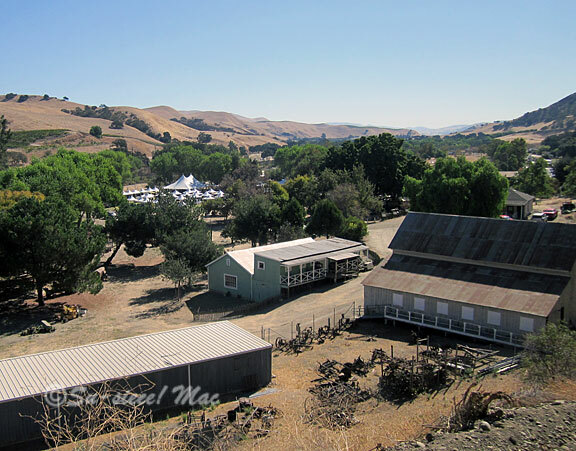 And, I haven't even mentioned that the location of this year's event is the San Benito County Historical Park in Tres Pinos. A perfect setting! 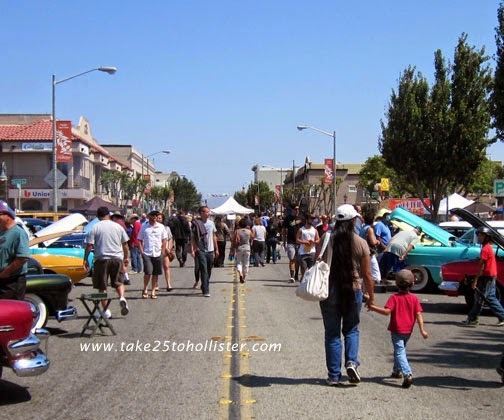 For more details about the event, check out this article at BenitoLink.com. Also, visit the San Benito Olive Festival website or Facebook page. 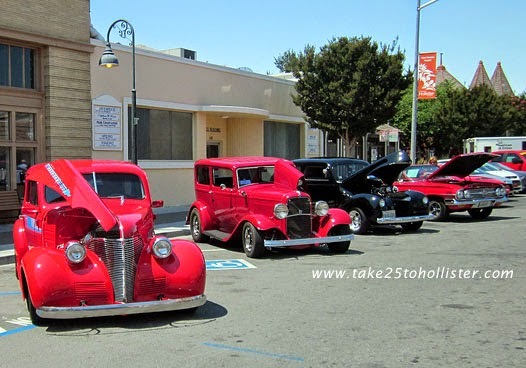 Here are some photos from the 2015 event. 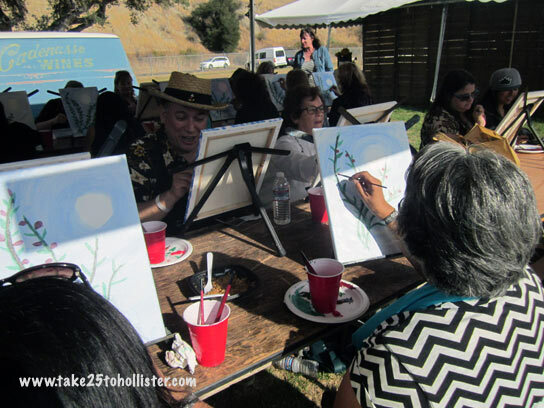 There'll be two olive paint party sessions at the 2017 San Benito Olive Festival. 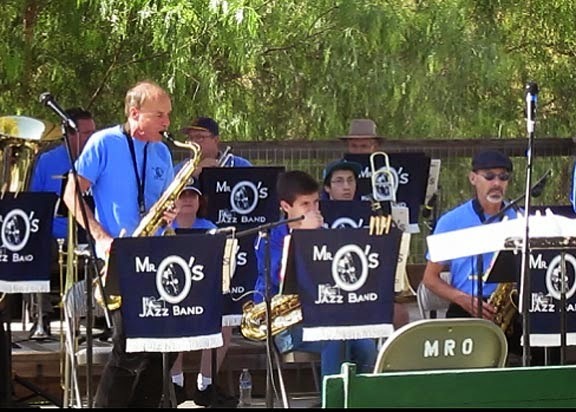 Mr. O's Jazz Band -- They'll be there this year, too! 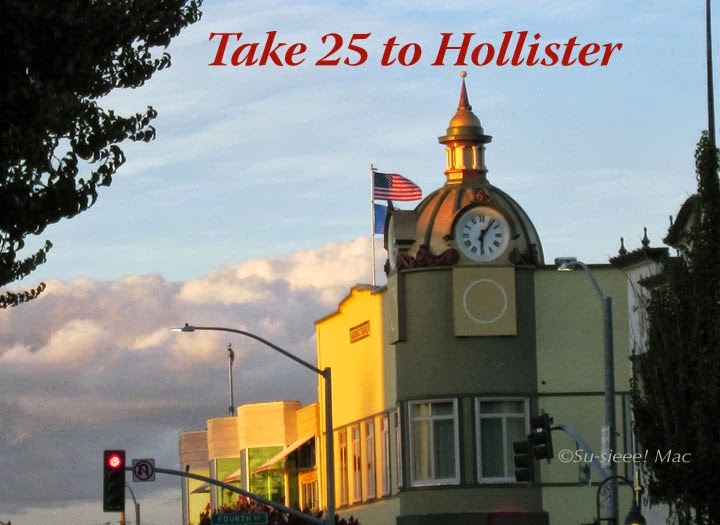 Gilroy has the Garlic Festival, Castroville, the Artichoke Festival, and Half Moon Bay, the Pumpkin Festival. 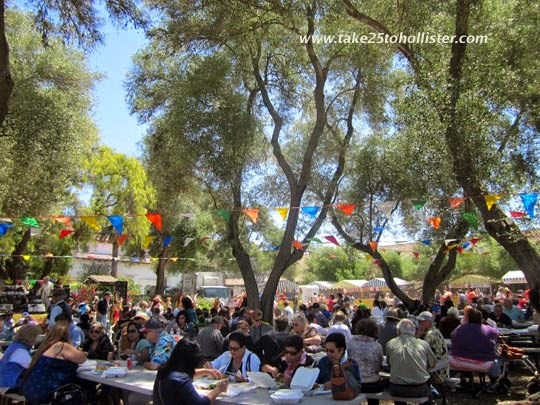 And, in our backyard, is the San Benito Olive Festival! Whooo-hooo! 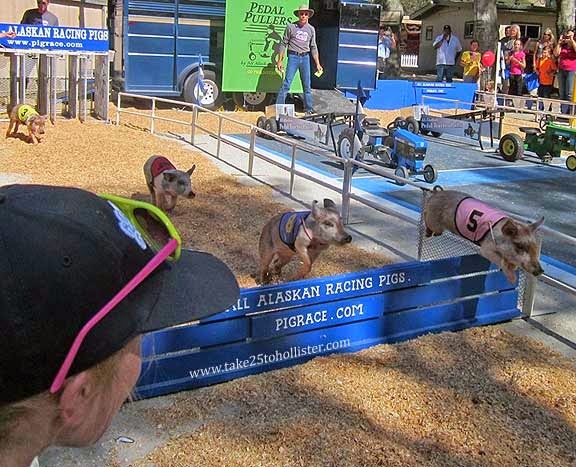 It's this Saturday, October 17, 2015, from 10 a.m. to 5 p.m., at Bolado Park in Tres Pinos. 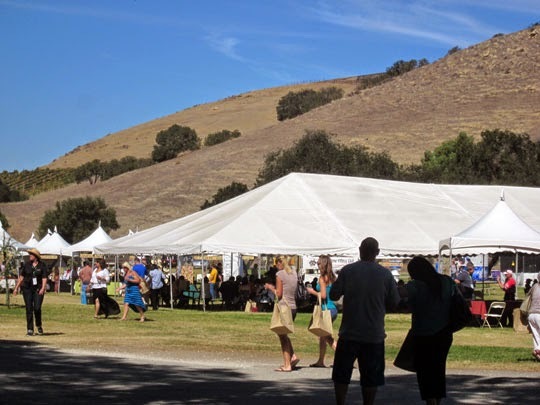 In its third year, this gourmet event celebrates the agricultural bounty and natural beauty of Hollister, San Juan Bautista, Tres Pinos, Aromas, and all that make up San Benito County. 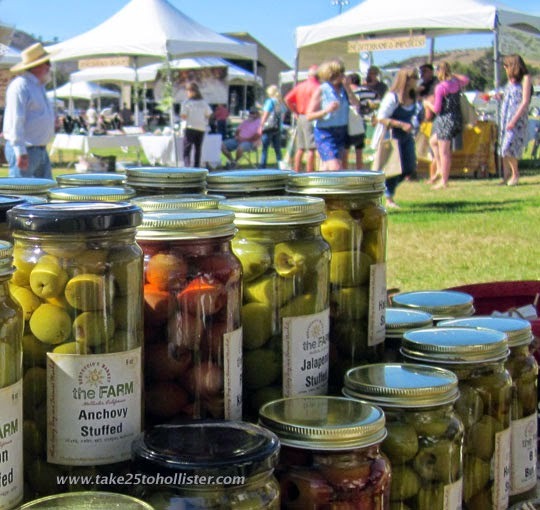 It features many of the award-winning olive oils, wines, and other artisanal foods made by farmers, growers, and food companies of San Benito County, as well as from other parts of California. 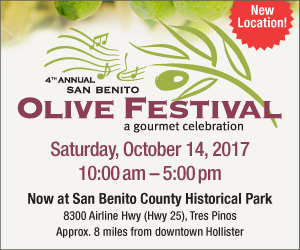 All net proceeds earned by the San Benito Olive Festival, a non-profit organization, are donated to community and service organizations. One of the coolest things about the festival, in my book. 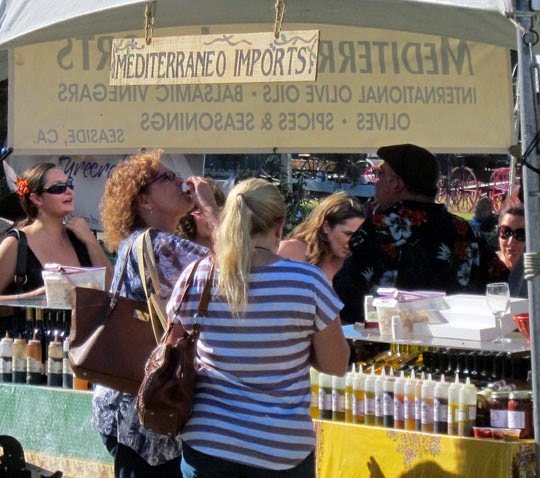 The olive festival offers visitors samplings of olives, olive oils, Blenheim apricots, chocolates, and other foods. 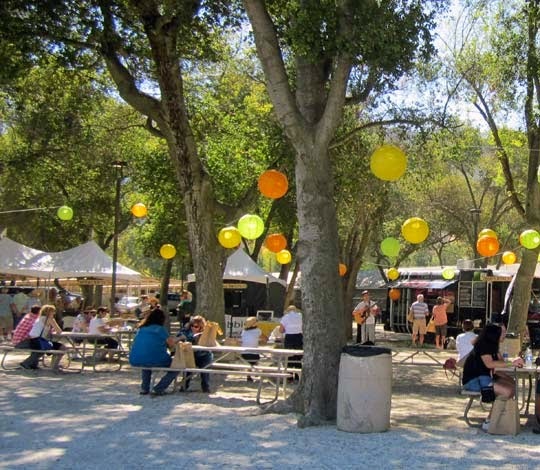 A variety of food trucks and restaurants shall be on hand, as well be various wineries and breweries. 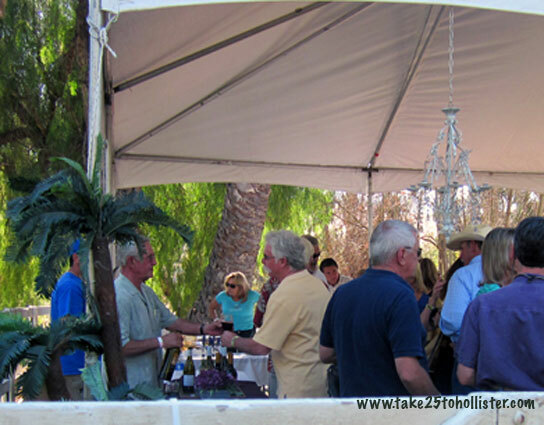 In addition, patrons can purchase a VIP admission ticket to access a wine and craft beer tasting area. Scheduled are cooking demonstrations by culinary instructors and professional chefs, featuring dishes using, of course, olives and/or olive oil. 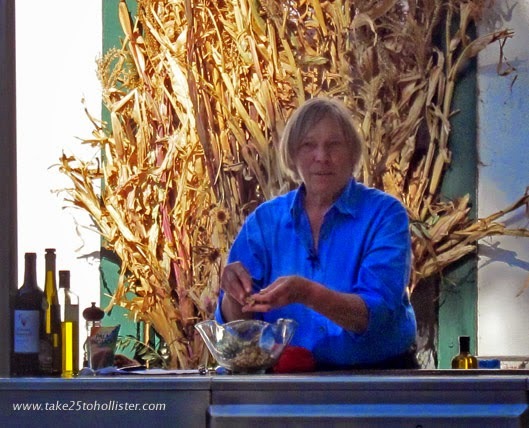 Two of the guest chefs are Chef Dorothy McNett, popular culinary instructor of the Central Coast, and Executive Chef Cal Stamenov of the Bernardus Lodge and Spa in Carmel Valley. 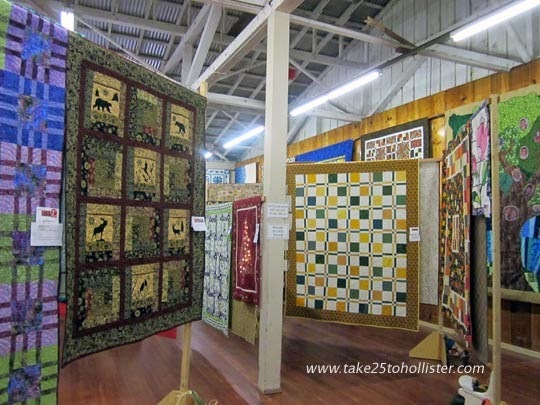 Like every foodie event, festival-goers can peruse the merchants' booths for jewelry, fine art and crafts, green plants, packaged food, and other items. This year, the olive festival offers hands-on activities for the young and old, including a morning and an afternoon paint party hosted by artist Paul Loughridge. 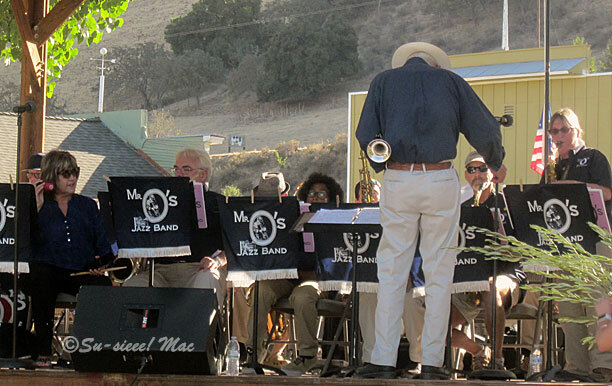 This gourmet celebration has a line-up of live entertainment for the whole day. It begins with the singing of the National Anthem by young singer Joe Fata, who recently competed on La Voz Kids, and ends with the ever popular Mr. O's Jazz Band. Also scheduled to perform are Change in the Weather, Shiloh, The Flashbacks, Folklorico Juvenil, Kaleb Askew, and Zack Freitas. 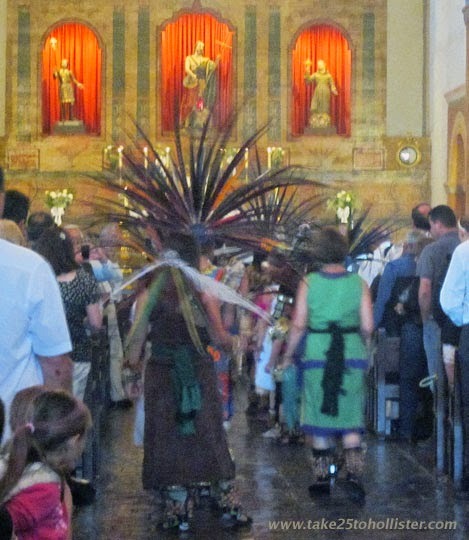 To learn more about the participants, schedule of festivities, and other information about the San Benito Olive Festival, go to its website or Facebook page. I'm hooking up with Our World Tuesday, a wonderful weekly meme in which bloggers from around the world participate. 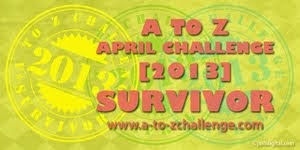 To take part or to visit other bloggers, click here. 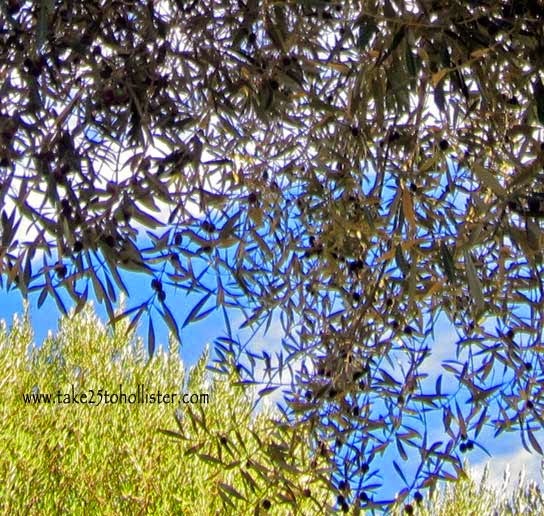 The olive trees in the parking lot at the corner of Sixth and East Streets are bearing fruit now. Be careful where you walk. 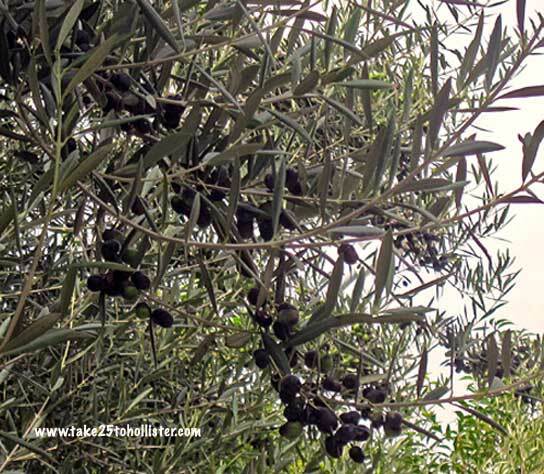 I wonder if anyone gathers the olives. 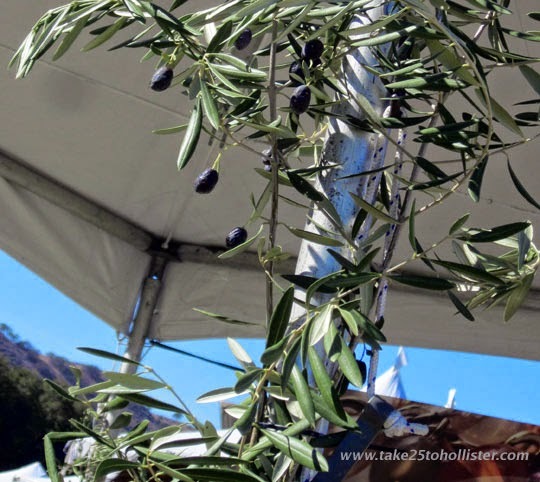 Speaking of olives, the third annual San Benito Olive Festival is a month away—Saturday, October 17, 2015 at Bolado Park. 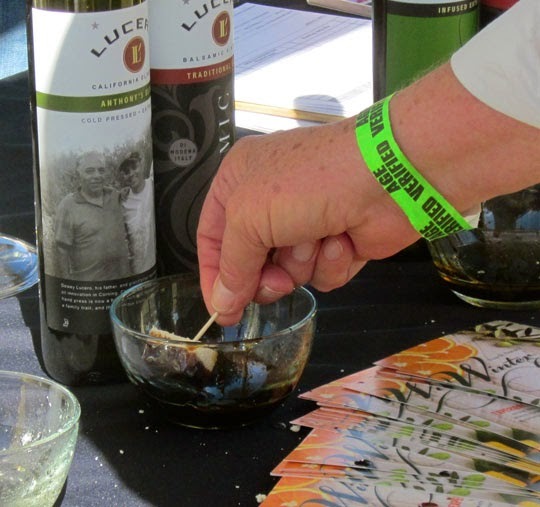 Our county's fun, foodie event features olive oils, chocolates, Blenheim apricots, wines, and other products that are grown and produced in our area. 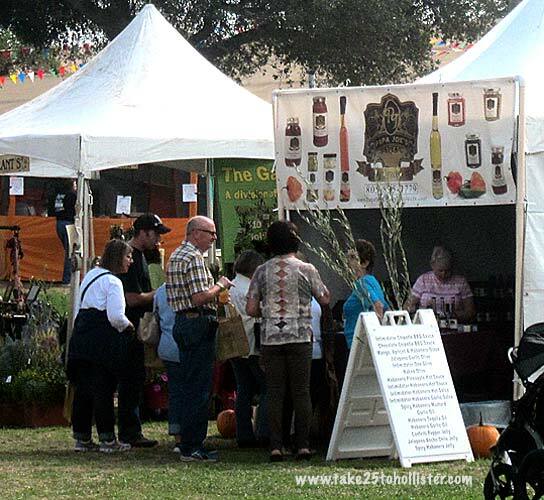 To see the growing list of participants, check out this page at the San Benito Olive Festival website.